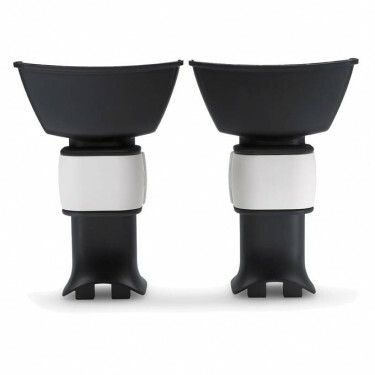 The Bugaboo Buffalo car seat adapter offers a safe and simple connection between the car seat and your Bugaboo Buffalo. The Bugaboo car seat adapter for Britax-Romer car seats provides a safe and easy connection between Britax-Romer car seats and the Bugaboo Buffalo. The click and go system makes it quick and simple to go from car to stroller. Can be used with the Bugaboo Buffalo strollers.